One of the most exciting things about the future of art is how museums are now utilizing modern technology beyond using it for security. When we usually talk about museums and technology, we imagine state-of-the-art laser detectors and heat scanners to protect the priceless displays from heat, degradation, vandalism and theft. Not anymore: artificial intelligence is now also being taught to create, promote, teach, and curate art. And though it is still in the early phases of learning, there can be no doubt that in the future, artificial intelligence and technology will ultimately be one of art’s many tools. Seoul, however, is planning something different with technology. 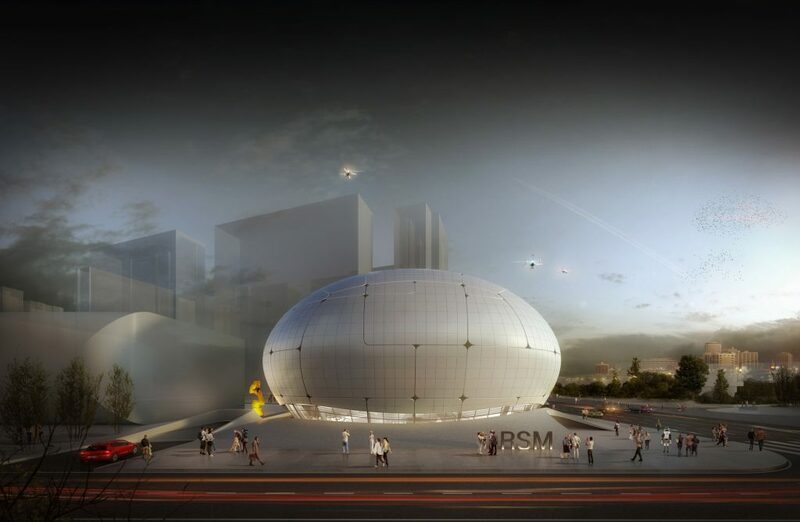 The Seoul Metropolitan Government has revealed plans to construct a new museum dedicated to robots, by using robots. It is probably the most ambitious construction project that involves robots yet. 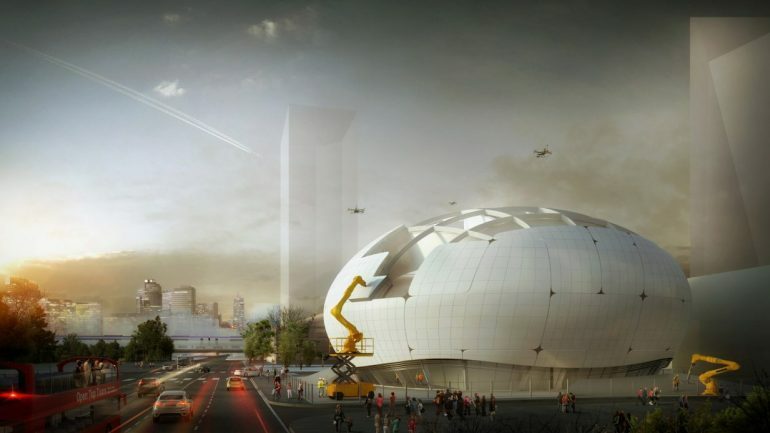 Seoul will be working with Melike Altınışık Architects (MAA) for this project and claim that the museum will be built by robots using robotic construction techniques and drones. The aim was just not only to have a new museum built but also to educate the public about robots. This doesn’t mean that the building is going to be left entirely to the robots. Only parts of the structure will be left to them. The robots will also be responsible for the concrete landscaping for the museum’s surroundings and other purposes like mapping and controlling the robotic construction vehicles. The act of having the robots construct their own museum is an exhibit itself, to demonstrate the potential of robots. The founder of the MAA, Melike Altınışık, said that robots will be involved in every level of the creation of the Robot Science Museum. “From the design, manufacturing to construction and services robots will be in charge.” They added that this would also save them money. Of course, this isn’t the first time ever that robots were used to build a building. There was also the time when Archi-Union Architects used “robot-assisted design and construction” to build a conference center in Shanghai. Just like MAA’s idea, Archi-Union also thought that a conference venue that will host an event about robots and artificial intelligence (A.I.) should be built by robots and A.I. to demonstrate the potential of robotics and artificial intelligence in all industries, including construction and architecture. It’s not because there is a lack of examples when it comes to A.I. being involved, but rather they’re trying to see how far can people go to involving A.I. Already, A.I. and robots have been used for mass producing cars and electronics, so if robots can be trusted with the most delicate of operations there should be no problem with them handing big ones. Organizations, like the International Association for Robots in Architecture, have been helping artists and architects get access to robotic technology and to help them with their research and improve the technology since 2010. And it isn’t just the building of the big structures. Robots are also used to help with the design of the interiors as well. Artaic, for example, had been using robots to assist them in making gorgeous designs for mosaics that are meant to design walls or floors. If MAA succeeds this will likely encourage more architects and artists to apply robots and A.I. technology with their designs, and construction firms to consider using drones. Which is great, considering the benefits of having A.I. do all the dangerous work and being able to solve the lack of affordable manpower in many countries. Who knows, maybe in the future, A.I. will be smart enough to create any designs, and robots will be more valuable in making those designs a reality.